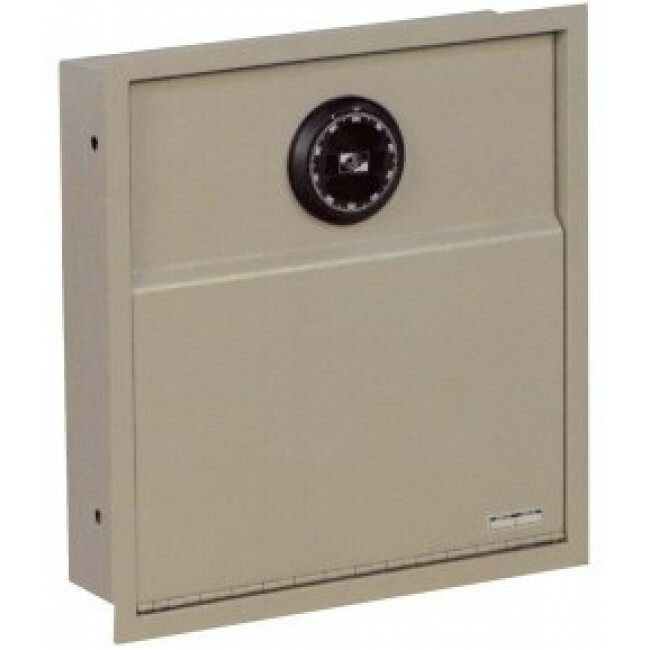 A major advantage to an AMSEC WS1014 wall safe is that it is easy to conceal in a closet, behind a painting or mirro. It offers solid steel protection for valuables and important documents. Designed for easy installation, each WS1814 can be installed between studs in standard 2" x 4" (16/oc) construction. The WS1014 is easy to bolt in and comes with pre-drilled anchor holes. This model comes with a combination lock. The combination can be changed with a key.